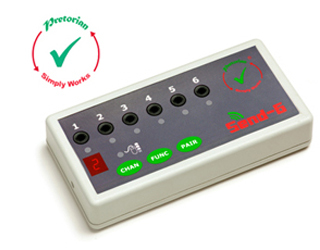 SimplyWorks SEND-6 allows up to six wired switches to be used with a single SimplyWorks receiver. You can use it as a method of making an array of switches part of a SimplyWorks configuration, allowing foot switches, pillow switches, sip/puff and other, similar switches to become wireless. Simply plug the switches into the 3.5mm socket on Send-6 pair it to the SimplyWorks receiver you’d like it to work with and they are now wireless. Because you only need to pair once with the receiver, set-up is quick and straightforward, making Send-6 an ideal product for wirelessly connecting an array of switches on a wheelchair. If you are using the switches to achieve computer access, you will also need to set their individual functions. 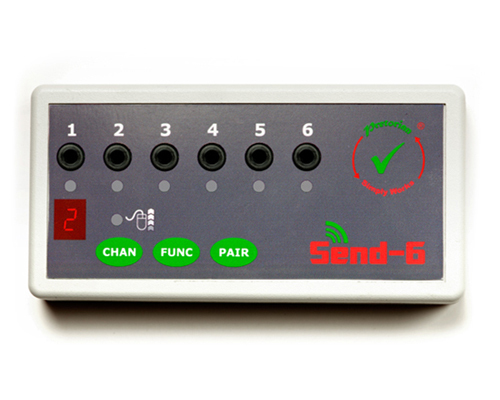 This can be achieved using the simple display and keypad on Send-6. 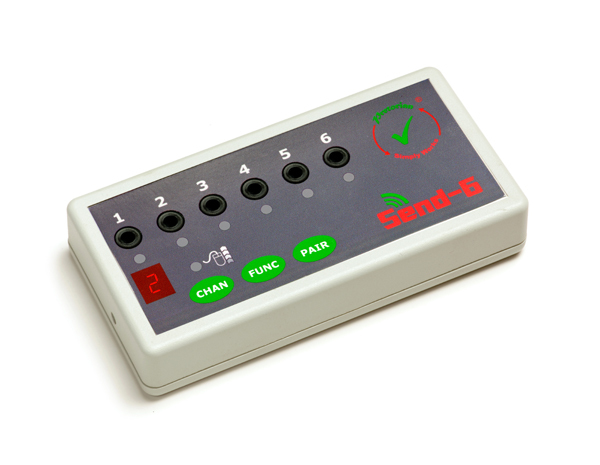 Send-6 also has a facility to allow the switches to function as a mouse. Four of the switches work as cursor up, down, left and right and the remaining two become Left Click and Right Click. You can even choose the speed of the cursor! Pair Send-6 with Receive or Receive:2 to take advantage of this facility. The unit requires 2 x AAA batteries which will give many months of use. As usual with Pretorian products, no on/off switch is provided - the unit automatically goes to sleep after a period of inactivity to conserve battery life. 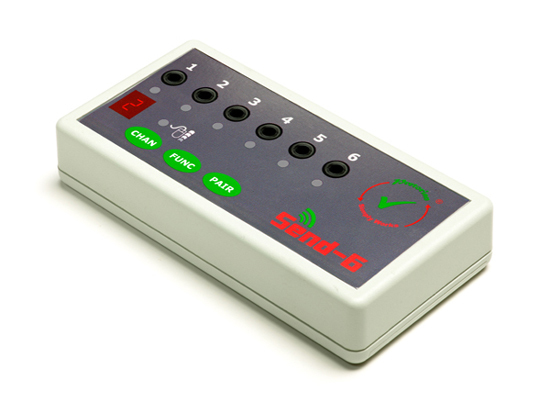 Works with any SimplyWorks receiver for computer or stand-alone switch access.